You can place your turkey order in store at the ‘Welcome Desk’, online or by phone on 0800 022 4051 until 15 December 2017. Turkeys can be collected from one of our stores or delivered to your home between the 20-24 December - simply select your preferred date when ordering. 1. When are the cut off dates for ordering my turkey? 2. When will my turkey be ready for collection? Thanksgiving - you can collect on 21, 22, 23 or 24 November. Christmas - you can collect on 20, 21, 22, 23 or 24 December. New Year - you can collect on 28, 29, 30 or 31 December. 3. When will my turkey be delivered? 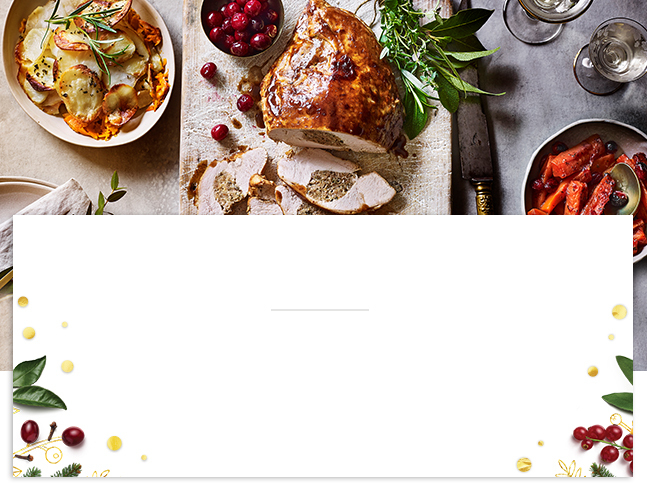 Thanksgiving - you can choose delivery on 21, 22, 23 or 24 November. Christmas - you can choose delivery on 20, 21, 22, 23 or 24 December. New Year - you can choose delivery 28, 29, 30 or 31 December.